Penguin Books is a British publishing house. 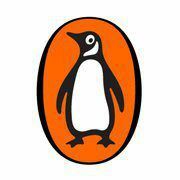 Penguin Books India is the largest English language trade publisher in the subcontinent. Headquartered in New Delhi, the company's commercial activity includes the publishing of its own books in the English language as well as in Hindi and Malayalam and the distribution of books from overseas publishers including the Penguin Group, A&C Black, Faber & Faber, ADD Atlantic Books, Greenwood Publishing, Quercus and Sterling Publishing. ​The ideal candidate will have to be able to think up digital campaigns that feature across a range of social media platforms, both for individual titles as well as on a general brand level. These campaigns would range from being fun and clever to serious and informative – Penguin Books publish every kind of book, and are on the lookout for someone who can adapt accordingly. What Penguin Books is looking for is someone who can think up campaigns that represent the brand online, while working closely with their social media agency and in-house publicists to reach readers online in ways as exciting as possible. This needs to be someone dynamic, very aware of social media trends, capable of a quick turn of phrase with excellent organisational skills. A working knowledge of digital advertising is also a plus, and prior media / digital experience is excellent though not mandatory. Social Media Management: Managing Penguin's social media media platforms on a day-by-day basis on Facebook, Twitter, Goodreads and the Blog. There are plans for expansion, so more fluency in different platforms is very welcome. Ideating and executing successful campaigns for the identified lead titles (across adult, YA and children) for the year, with digital support for all the other titles. Scheduling: Social media ads and promotions to be scheduled for Facebook, Blog,Goodreads and Twitter in conversation with publicists and social media agency(s). This involves Creating and managing a calendar for all online activity, and is absolutely critical. Capturing trends and moments (days/birthdays) in a timely fashion and using them to contribute to promoting the brand digitally. This does involve keeping very much on top of what’s trending digitally and finding ways to push Penguin Books content out in a brand-appropriate but still relevant fashion. Blog and Bloggers List – Maintaining and updating this list on a regular basis and ensuring that all books are sent to relevant bloggers, and cultivating a network of digital resources to host content. New Ideas: Coming up with new ideas and campaigns for the titles and overall development of the brand. Also researching new platforms the brand can be on. This is SUPER IMPORTANT – Penguin Books is looking to expand their digital reach in terms of social and having strong ideas about the future is important. Open till Penguin finds the perfect fit.